Coming from the Rave scene of the 90’s, this DJ / Producer is the co-founder of Amazone Records and label manager of Among Records. 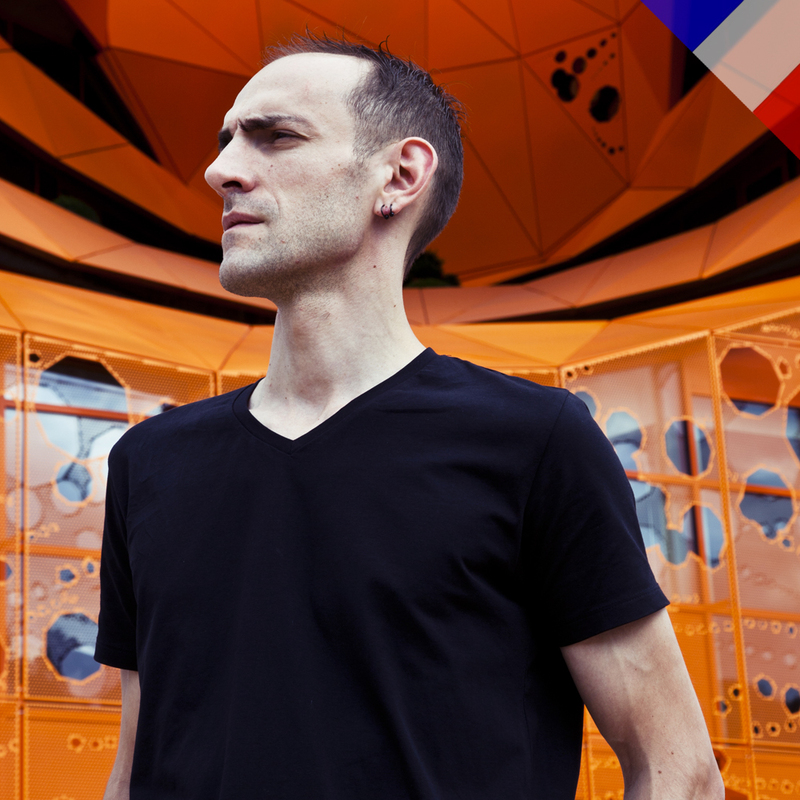 Originally from Lyon, France, D’jamency has thrived throughout Europe and Asia in the world of Techno. For more than fifteen years he has relentlessly made his presence felt at events, clubs and festivals such as the Rex club (FR), Nouveau Casino (FR), Villa Rouge (FR), Magazine club (FR), Glazart (FR), Baby club (FR), DV1 club (FR), Nuits Sonores Festival (FR), La Nuit Rouge (FR), Universal D.O.G. (DE), Sisyphos (DE), Cassiopeia club (DE), D-Club (CH), Octagon club (KR), H20 (BE), World DJs Festival (KR), Yes club (CZ), Sea You Festival (DE)… Highly regarded and in demand, D’jamency is regularly found side by side with internationally renowned DJs and live acts. D’jamency’s style varies according to his audience; deep and groovy Tech House, to hypnotic and dancefloor Techno. His 4 decks performances with inserted samples and loops via Traktor Scratch Pro have left their mark on the European & Asian dance floors. His stage presence is intense and energetic and he stays deeply in tune with his audience. With his extensive knowledge in a variety of musical programming and events, and keeping abreast of the times, D’jamency continues to seduce his public with refined and evolving skills. D’jamency has collaborated with famous DJs and Producers such as Scan’x, Spektre, Audio Injection, Axel Karakasis, Tom Hades, Dustin Zahn, Tim Xavier, Mr Henry Von, Electric Rescue, Citizen Kain, Da Fresh, Lowkey & Kardinal, Andy Notalez, Darmec, Andrea Roma, Matt Minimal, TKNO, Dolby D, M23, Hi-Shock, Dario Sorano, Atochi, Superstrobe, Andres Gil, Leghau, Daegon, Cortechs, Maverickz, Tektight, Moog Conspiracy, Florian Tyack & Funkbrainer, John Lagora, Commuter, Peuch, D-Funkshion, Jean Agoriia & many more !